MSF Calls On Davos Leaders To Stop People Dying of Market Failure - Business CEO'S & Politicians Must Take Action To Restart R&D. 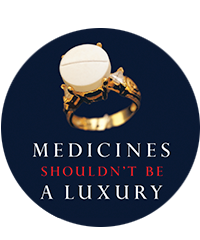 Geneva, 27 January 2000 — As the worlds business and political leaders gather in Davos to discuss their visions for the year 2000 and beyond, MSF called for concerted action to ensure Access to Essential Medicines to those most in need. While market investment is leading to progress in fighting cancer, heart disease and life style diseases such as obesity and impotence, research has ground to a standstill for leading global killers like TB and malaria. MSF's international Council President Dr James Orbinski said: "It is ironic that as the worlds rich and powerful gather at Davos in what used to be a sanitorium for wealthy TB patients, there is little if any research or development (R&D) for TB, which is today a poor man's disease." Dr Orbinski added: "Worldwide, nearly 10,000 people die every day of TB, and 95% of these deaths occur in the developing world. There is little if any new research and development for new TB medicines. Because the poor are not a viable consumer market, the disease is not profitable. Poor people are dying of market failure. This must change." In Davos as in Seattle, MSF calls for new and innovative approaches to stimulating R&D for essential medicines. "Multinational pharmaceutical companies have failed to find new treatments for communicable diseases. National governments must intervene" Dr Orbinski concluded. This must include government regulated obligations that are compulsory, such as requirements that companies reinvest a percentage of pharmaceutical sales into R&D for neglected priority diseases, either directly or through public or private sector R&D programs. Every 3 seconds a child dies of a poverty-related disease. 17 million people per year die from infectious diseases, the vast majority of whom live in the developing world. Yet only 0.2% of pharmaceutical research is devoted to acute respiratory infections, TB and diarrhea- which account for 18% of deaths from infectious disease. Some of the reasons people die from infectious diseases like AIDS, TB and African Sleeping Sickness is that life saving essential medicines are too expensive because of patent protection, are not available because they are not seen by industry as financially viable, or because there is virtually no new R &D for priority infectious diseases.